Are you planning a trip to Georgia's wine country? For wine enthusiasts, the mecca to the Helen area is a "must", and as you plan your visit, you want to make sure that you're going to be able to experience the very best of the best. No matter how short or long your vacation will last, you will definitely want to make sure that you take the time to visit Frogdown Cellars. This award-winning vineyard and winery has a lot to offer its visitors and is sure to make an impression on you and your traveling companions. Frogtown Cellars has been a staple in Dahlonega and Georgia Wine Country since it was first opened in 1998. Atlanta natives, Craig and Cydney Kritzer, made the decision to establish the vineyards and winery in the heart of the "Frogtown District" of Lumpkin County. 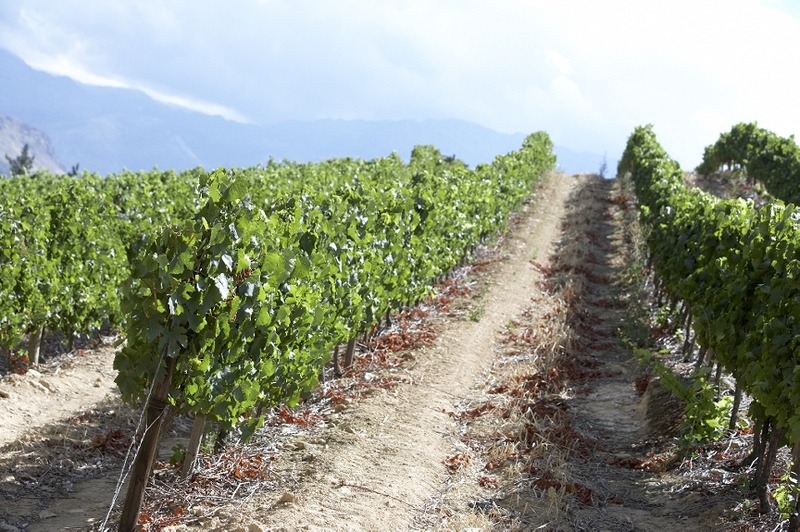 This particular area offers spectacular conditions for harvesting quality grapes for wine production. Over the 57 acres of land, the vineyard boasts over 22,000 individual grape vines, as well as a tri-level gravity flow winery that works to create unique and pleasing wines. 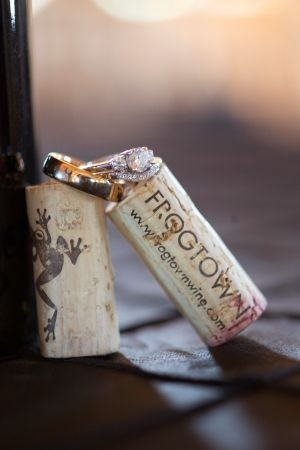 Throughout the years, Frogtown Cellars has been recognized with numerous awards and honors for superior wines. Among the most notable achievements include rankings in major competitions such as the San Diego International Competition, San Francisco International Wine Competition, Dallas Morning Star Competition, Tasters Guild International Wine Competition, and the Los Angeles International Wine and Spirits Competition. Frogtown Cellars continues to grow, now with a vineyard in southern Georgia, and a brand new tasting room in downtown Helen. Frogtown Cellars offers a wide range of white, red, and dessert wines for your enjoyment. With the exception of the dessert wines produced here, Frogtown is committed to following "French Rules" for producing wine, meaning that no sugar is added back into any of its wines. In other words, the products offered here are considered to be completely dry wines, unlike many bottles developed in the U.S.
As Frogtown's premium desert wine, Cachet is among the most popular selling white wines available, featuring Vidal grapes. Cachet is a classically inviting dessert wine which offers a lightly sweet flavor at the front of the pallet with a relatively dry finish. Frogtown's MRV Rohne-style white wine blend is another top pick. The wine is comprised of three white whine grapes that are traditional to the Rhone region of France, including Marsanne, Roussanne, and Viognier. The wine offers a full-bodied and complex flavor spread, featuring hints of honeysuckle, apple, pear, and nuts. Foodies will appreciate the simplistic crispness of Frogtown's Thirteenth Colony Vidal Blanc which is an excellent selection as a dinner wine. If red wine is more your flavor, you'll certainly want to taste Frogtown Applause. This particular wine is a blend of Cabernet Sauvignon, Tannet, and Touriga Nacional which yields dark fruit aromas and rich, interesting flavor combinations including blackberry, bound together with just a hint of vanilla and tobacco. It is a very classic red wine that is simple to drink, and evokes a sense of relaxation. For a bigger, bolder flavor, consider Talking Rock Red. With a sweeter taste, this wine goes well with your all-American food favorites. Or for a red wine that features big berry flavorings and aromas of ripe, red fruits, go with the 2008 Frogtown Norton. Visiting Frogtown Cellars is an altogether pleasant experience, and you may actually want to plan to make a day of it. The winery's tasting room in Dahlonega is open to the public, without reservations, each Monday-Friday from 12pm-5pm, Saturdays from 10:30am-6pm, and Sundays from 12:30pm-5pm. You'll be presented with 3 different wine tasting options, based upon your personal preferences. The dry white tasting provisions 7 dry white wines for $15, while the dry red wine tasting offers 7 dry red wines for the same amount. If you're eager to try it all and enjoy the most value for your day at the winery, consider going with a combination of both of these tastings for $22.50. As you sip on these spectacular wine selections, you'll have the privilege of enjoying the incredible sight of the surrounding valleys, vineyard, and the northern Georgia mountains from Frogtown Cellar's tasting deck. You may also elect to enjoy a bistro lunch while you're here. Frogtown Cellars offers Panini Sandwiches including Black Forest ham, House Smoked Turkey, Rueben, Roast beef, and others. For a lighter snack to be enjoyed with your wine, order a fruit and cheese plate. 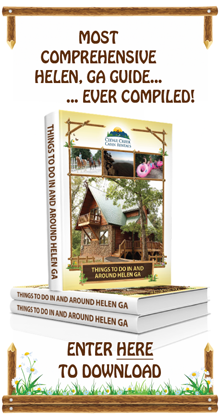 Which other northern Georgia wineries are you hoping to visit during your trip to Helen? Let us know and we'll provide you with all of the information that you need to plan an incredible vacation.